The clincher version of the evolved world’s best performance tire pushes the limits of versatility. Graphene is a revolutionary material in the form of a very thin, nearly transparent sheet of pure carbon. In its extreme form it is as thin as a single atom (1/100,000,000th of a metre). 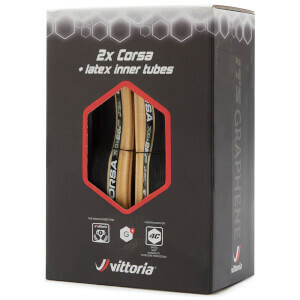 Vittoria used Directa Plus Graphene called G+, which is 2 to 8 atoms thin. 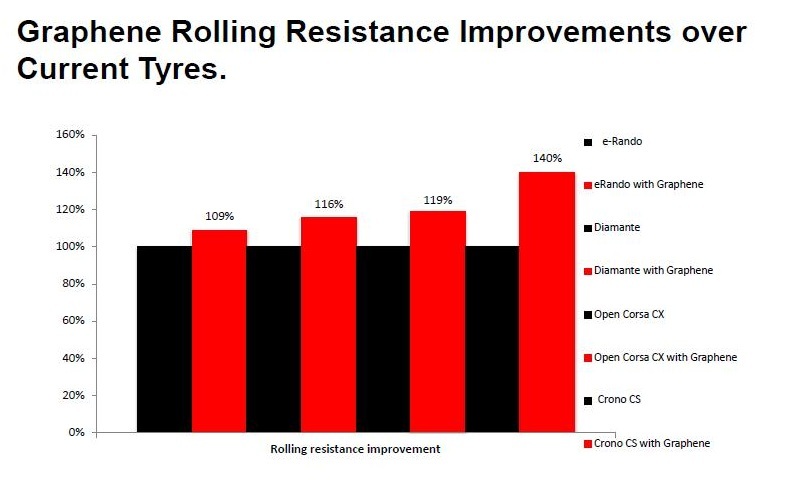 Vittoria tyres are now intelligent. ITS compounds become harder and softer, depending on the needs of the rider. If the tyre is rolling straight, the rubber is at its hardest and offers low rolling resistance. 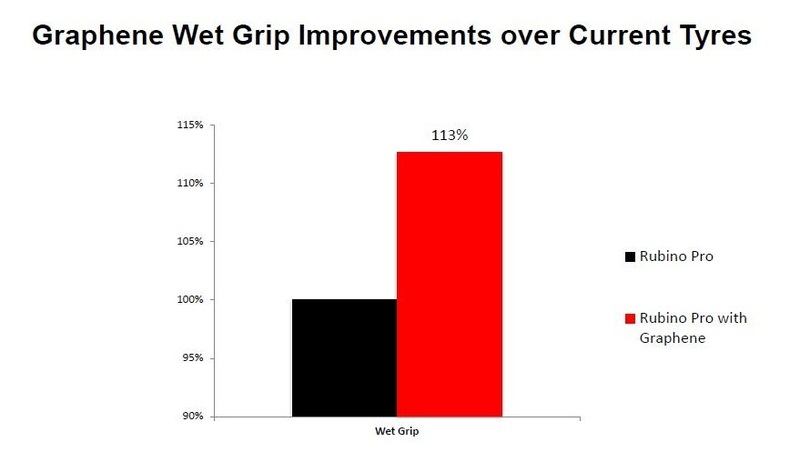 If the rider breaks, accelerates or corners, the compounds soften and offer significantly more grip. Prior to the advanced development of Graphene, there was always the requirement of choosing between optimising, or aiming at, speed, grip, durability and puncture protection. Effectively, the introduction of Graphene allows for natural material barriers of rubber to be removed, which means that there is no longer the need for such compromises between speed, grip, durability and puncture resistance. All these features are now reaching their maximum possibilities. Vittoria is the world’s leading manufacturer of tyres with cotton Corespun casing. The sublime performance of Vittoria tyres and tubulars is the product of years of experience. R&D, and advance production technology. At its heart is our mastery of fine-cotton Corespun production. Simply put, the finer the Corespun fabric, the more supple the tyre casing. The casing conforms closer to the roads surface, providing a smoother ride, easier rolling, and better grip. The grade of fabric used in a tyre’s casing is expressed in threads-per-inch (TPI): the higher the TPI number, the finer the threads, the denser the weave, and the suppler the tyre. Uniquely, Vittoria makes casings with 320 TPI Corespun yarn – the finest available. 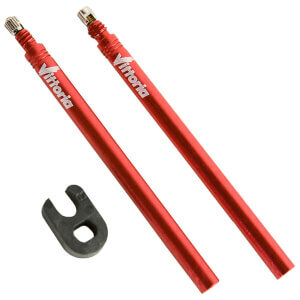 Corespun T 320 TPI utilizes the finest thread available, exclusive to Vittoria. This special 320 TPI fabric makes for the lightest, supplest, and fastest casing ever, to sustain the highest pressures used on track. Corespun K320 TPI has a mixture of Kevlar®** threads for casings, where strength is the essence. Corespun 290 TPI is a high-TPI cotton with polyester yarn, producing a flexible, strong casing sustaining high pressures and offering outstanding performance and comfort. Cotton 220 TPI Cotton is the traditional material of high-quality racing tubulars. Vittoria uses the finest grade of natural cotton, 220 TPI, in a diverse range of top-class tubulars. Nylon is a robust and durable artificial fibre traditionally used for strong tyre casings. The artificial fibre can be very light but is not as supple as Corespun. Our Nylon casings set a new standard in their class. Vittoria offers casings in Nylon 180 TPI, 150 TPI, 120 TPI, Nylon 60 TPI and Nylon 26 TPT, each equipping tyres at its respective point on the price-performance scale, and all conferring the Vittoria characteristics of comfort, speed and good handling. Vittoria’s unique Graphene compound with revolutionary G+*, as provided by technology partner Directa Plus. No compromise is necessary with this compound that is superior in speed (rolling resistance), grip, durability and wear resistance. Exclusively developed by Vittoria to achieve performance products without compromise. Vittoria 4C is a layering process, using 4 separate compounds in the same thread. The 4C process offers unmatched versatility, by allowing for separate base and surface compounds, in both the centre and side areas of the tread. Benefiting from the different properties of each compound, including the G+ Isotech, their distribution is extensively tested to deliver the best products imaginable. Applied by Vittoria to deliver all-round products without compromise. Vittoria 3C is a layering process, using 3 separate compounds in the same tread. The different properties of each compound, including the G+ Isotech, allow for the improved experience in all circumstances. 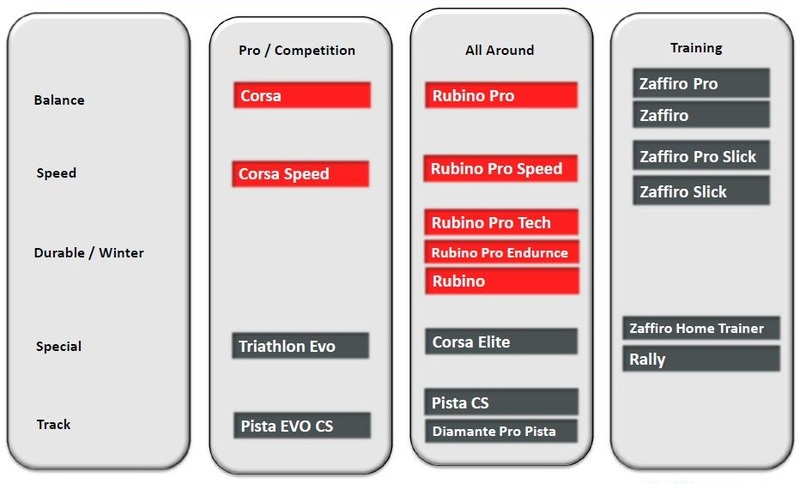 I've purchased tyres from all of the top manufacturers during my years as a competitive cyclist and I can unabashedly state that the Vittoria Corsa G+ tyres are THE BEST. 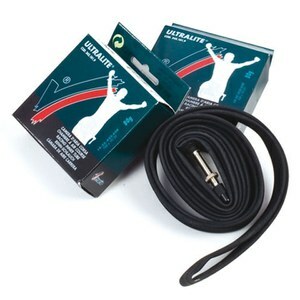 I read about them in a popular cycling magazine and purchased the twin pack with Vittoria Ultralite tubes. Easy to mount, roll like butter on a warm biscuit, I've yet to puncture (a testament to the Graphene and the 'transparent' sidewall look is retro cool! It's a great tyre, and it gives you an unparalleled sense of stability. It doesn't fall off the floor, but it controls the speed of racing, or it doesn't. I bought these at recommendation from a bike shop owner from California, i ride a city trail that takes me to the beach and back, lots of wets spots,and tree debris and these tires are not only fast but grips the roads well. These are, quite simply, the best tires I've ever ridden. In 28's at about 75 psi, the comfort and speed are second to none. Easy to install and not a single puncture yet, I could not be happier. Absolutely recommend. Did hundreds of races on silk tubulars, trained on tubulars. 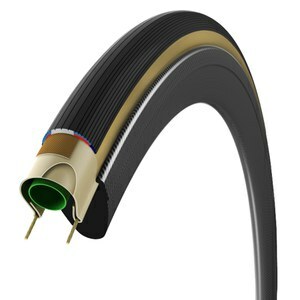 The new era of clinchers are better in my opinion. These tires are as good as the best tubulars and more durable without the hassle of gluing. Highly recommend these tires and if used with carbon wheels, they are race ready.